Children who are multilingual learners (MLL) are speakers or learners of two or more languages. 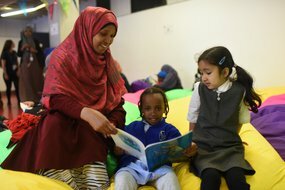 Previously known as children with EAL (English as an Additional Language), MLL children and their families have been shown to benefit greatly from the Early Words Together programme. Resources for supporting MLL families through Early Words Together are available to download here. In 2018/19, we are delivering Early Words Together for MLL families in nine schools in Peterborough and Leeds, supported by the Dulverton Trust, and in ten schools in Bedford and two schools in Luton, supported by Harpur Trust, The Panacea Charitable Trust and The Wixamtree Trust. If you are not a part of this project, go to the Early Words Together page to learn more about running the programme in your setting. Staff training presentation - The PowerPoint used in the staff training. Supplementary materials - Extra materials exploring working with MLL families used in the staff training. Staff action planning template - Template used in the staff training to plan the way forward for Early Words Together in your school. Volunteer management FAQs - This resource for staff has information about managing volunteers at their setting. It includes tips on how to recruit and support volunteers and other important considerations. Volunteer recruitment poster - These posters can be displayed around the setting to recruit volunteers. Volunteer training presentation - A presentation to train volunteers, complete with notes and guidance. Volunteer training resources - These resources support the volunteer training and include a training evaluation form for volunteers. Sample session plans - We will add sample session plans as examples of how you and the volunteers can plan sessions with families. If you would like to submit an example of your own practice that you feel would benefit other settings, please contact ewt@literacytrust.org.uk. Early Words Together book list - This list includes some of the books we have found work best with children in the programme, and some pointers for choosing books to use with MLL families. Why sharing rhymes, stories and books matters! - This book was created by families who attend St. Edmund’s Nursery school. It offers information about the importance of sharing books and stories in a readable, user-friendly format. In the back of the book is a true and false activity to use with volunteers and parents taking part in the programme. Early Words Together for children with SEND - This resource explains how Early Words Together has been delivered with children and families with special educational needs and disabilities. Volunteer and family certificate templates - These certificates are for volunteers and families who complete the programme. Parent and volunteer surveys - Parents and volunteers must complete surveys after each set of six sessions, or when they leave the programme. This means a volunteer may complete the survey several times – once for each cycle of sessions they support. Parents must complete the survey on or after their final session. The link to the surveys can be found below. Translated parent surveys are also available in different languages as downloadable resources. 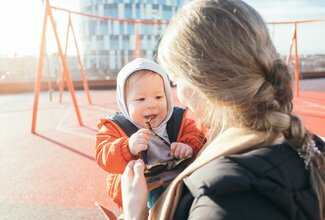 Practitioner surveys - All practitioners supporting Early Words Together sessions must complete a pre-programme survey before they run their first session, and a post-programme survey at the end of the programme in 2019. The link to the pre-programme survey can be found below. Settings are asked to complete a very simple online progress report each term describing how many families they’ve worked with, challenges encountered and successes achieved. Please find the link below. The quick tips provide parents with ideas for helping their child develop good listening and talking skills. Here you can access the quick tips in 17 different languages.